Today is the first yarzheit of the 8 bochurim who were murdered in the attack on Merkaz HaRav last year. On Rosh Chodesh Adar of last year, an East Jerusalem Arab gunman entered the library of the yeshiva and gunned down 8 students in cold-blood. These holy boys were killed while studying Torah, their sole crime to have been born Jews. Aged 15-21, they were committed and completely involved in Torah. As their families were plunged into the depths of mourning and sorrow, dancing and jubilation broke out in East Jerusalem, in Arab-controlled Judea and Samaria, and in Gaza. There was dancing in the streets and sweets were distributed, in celebration of the vile deed. As the Jewish nation felt the pain of this cruel attack, our enemies rejoiced in the massacre of teenagers. The attack took place on Rosh Chodesh Adar, the first day of the month of Adar, associated with the festival of Purim. Purim commemorates the downfall of the Haman, the Persian vizier, and the foiling of his Final Solution against the Jewish people. Haman was a descendant of Amalek, the implacable enemy of the Jews. One week before Purim, on Shabbat Zachor, the Sabbath of Remembrance, we read the Torah's command to remember the evil of Amalek. The Torah commands us: "Remember what Amalek did to you on the road, on your way out of Egypt. That he encountered you on the way and cut off those lagging to your rear, when you were tired and exhausted; he did not fear G-d. And it shall come to pass, when the L-rd your G-d has given you rest from all your enemies round about, in the land which the L-rd your G-d is giving you for an inheritance to possess it, that you shall obliterate the memory of Amalek from under the heavens. Do not forget." (Deut. 25:17-19). 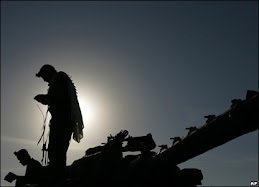 It is an obligation to recall daily Amalek's cowardly attack on Israel. Throughout history, thousands of nations have oppressed and persecuted Israel yet only Amalek is singled out for eternal remembrance and ultimate destruction. Why is Amalek alone to be remembered forever? Amalek was a nomadic tribe that lived in the desert. Its land was not a part of the Land of Israel and they were not threatened by Israel's advancement to Canaan. Despite this, they attacked Israel simply out of hatred and malice. They did not confront Israel head on but ambushed the rearguard, attacking the weakest and most vulnerable in the camp of Israel. This same spirit of Amalek has manifested itself time and time again in various nations throughout history, in their implacable desire to destroy Israel. The murderer, may his name be accursed, was from the seed of Amalek. His attack was so barbaric, so cruel and evil as to defy belief. To walk into a library in a house of study, a place of worship, on a holy day, and to systematically murder teenagers is an act motivated by the purest of hatred. It was not just an attack on a yeshiva, but on every synagogue and house of study, on every Jew and on the values of life and holiness which the books in that library represent. It is a positive commandment to completely obliterate Amalek. Such a commandment seems jarring to the modern mind. Wipe out an entire people? We fail to understand that Amalek is not a physical entity but rather a concept, a national spirit. Amalek represents evil, denial of G-d and hatred of the Jewish people. 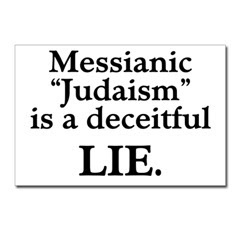 Its warlike culture makes it antithetical to the message of the Torah and necessitates its destruction. The spirit of Amalek manifests itself so clearly in the gunman, the suicide bombers, the worship and glorification of death in Islamic society. To dance, give out candies and celebrate when teenagers are shot can only happen in a society completely steeped in hatred and violence. Such a savage society cannot co-exist with the Jewish people, the nation that loves and desires life and seeks peace. "The purely righteous do not complain about evil, rather they add justice. They do not complain about heresy, rather they add faith. They do not complain about ignorance, rather they add wisdom. " 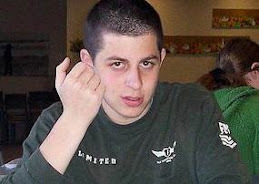 The gunman stifled the voices of 8 young men. He tried to silence their Torah study and their good deeds. They have left behind a void of mitzvot that we need to fill, in order to defeat the darkness spread by Amalek. Let us all commit to performing an extra mitzvah such as laying tefillin, studying more Torah or giving tzedakah le'ilui nishmatam. Speaking at a convention for American Jewish leaders, Tzippi Livni said that "we need to give up half of the Land of Israel". She claims that in the interest of peace, Israel must surrender Judea and Samaria to the Arabs. For the sake of a peace, it is necessary to create a Palestinian state in the heart of the Land of Israel. The Left is fond of saying that there is no peace without justice. There is no greater truth to that statement that in this case. An unjust peace is no peace at all. Peace is valuable yet it cannot come at an unreasonable price. Uprooting Jews from their land is too high a price to pay for peace. To make Judea and Samaria jundenrein is the greatest perversion of history. These lands form the homeland of the Jewish people, where our ancestors, Patriarchs, prophets and kings dwelled. To uproot hundreds of thousands of Jews from their rightful homes and destroy flourishing communities is a betrayal of history and of the generations of Jews who yearned for the dream of Zion. Although we were forcibly removed from our land, we never vacated it in our hearts and souls. We continued to look longingly to the day when "our eyes will behold Your return to Zion in mercy", despite the oppression and degradation of exile. The Land of Israel belongs to the Jewish people by every conceivable historical, religious and political right. The Jewish people are the only nation to have roots in that land. Abraham is buried in Hebron, Jacob lived in Beit El and Joseph tended his sheep in Shechem (Nablus). When a certain prophet had his first revelation in Arabia, the Jewish people already had thousands of years of roots in the Land of Israel. 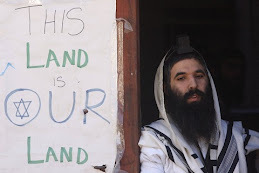 The Land of Israel is the inheritance of every single Jew around the world, and only the Jews. Every nation has its own land and no one would demand that it carve itself up to appease those who covet it. It would be unreasonable to expect the United States to offer Texas or Massachusetts to al-Qaeda in the hopes of peace. The United Kingdoms would never surrender London and France would never give away Paris. Similarly, Israel can never give away parts of Jerusalem. Jerusalem was, is and always will be a uniquely Jewish city. 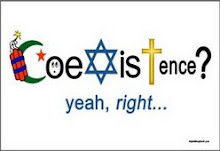 Catholicism is centered in Rome, Islam in Mecca and Judaism in Jerusalem. Jerusalem forms the basis of our national psyche. 3 times a day, looking eastward, a Jew pleads for the rebuilding of Jerusalem, as well as after he has had a meal and says Grace. We have ended our Passover seders and Yom Kippur fasts for 2000 years with the fervent prayer of "Next Year in Jerusalem!" At every Jewish wedding, the groom breaks a cup to remember the destruction of Jerusalem and pledges "if I forget thee, O Jerusalem, may my right hand forget its cunning." The early Zionist pioneers had a slogan: "With fire Judea fell, and with fire Judea will arise." 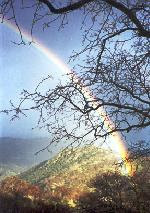 The dream of Zion could only be realized through the sweat and toil of the pioneers and settlers. The Jewish state only exists by virtue of the over 20 000 Jews who made the ultimate sacrifice in defense of their people. Thousands of good Jews fell defending and liberating Jerusalem, Judea and Samaria. Only 40 years ago, tears streamed down the cheeks of even the most alienated and assimilated Jews as we were reunited with our Holy Temple Mount, with the Western Wall and with the Old City of Jerusalem. A nation that held faith for two millenia does not forget so quickly the pain that we felt when we were denied access to our most holy sites. We have not forgotten how the Jordanians forbade us access to the Western Wall, desecrated synagogues and study halls and used ancient Jewish cemeteries as latrines. Only a lunatic would advocate a return to this terrible and dark time. The basis of peace is self-respect. 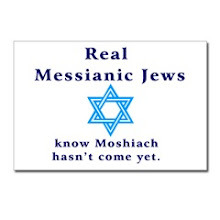 A Jew with a modicum of Jewish pride would never part with his homeland for anything in the world. Jerusalem, Judea, Samaria, Gaza, the Golan, Galilee, Negev and coastal plain all are an integral part of the Jewish homeland. 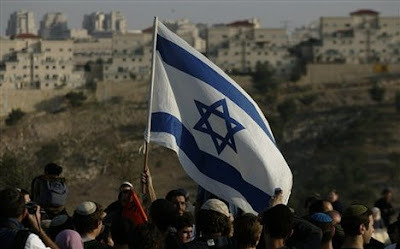 A condition for peace cannot be the amputation of half of the Land of Israel and denial of the right of the Jewish to settle freely in their country. What is being challenged is the basic Jewish right to their own land as the world tries to herd the Jews of Israel into the Greater Tel-Aviv ghetto. What we fail to understand is that our right to Tel-Aviv, to Herzliah, to Be'er Shevah, is our right to Jerusalem, to Hebron, to Shechem, to every inch of the Land of Israel. 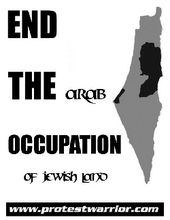 The Arabs have more than enough land for themselves. They occupy 99.5% of the Middle-East, and no one is challenging their claim to it. Yet Jews must stand up and assert our right to less than a percent of the land in the Middle-East. This is not a conflict over land as much as ideology. The Islamic supremacist ideology which demands that Jews be second-class citizens opposes Zionism, the most basic desire for a Jew to control his own destiny in his own sovereign state. If Tzippi or the Left were able to carry out their nefarious plans, G-d forbid, to expel the Jews of Judea and Samaria, it would mean the virtual end of the Zionist enterprise, of the building and settling, of the Ingathering of the Exiles, of the return of the Jewish people to its home and the hope for the Ultimate Redemption, may it be speedily in our days. I could think of no greater tragedy than for the Jews to come home after such a long exile and re-establish themselves only to be uprooted by corrupt leaders at the behest of anti-semitic governments. This is a struggle of an indigenous people against the forces of a cruel occupation. Islamic imperialism cannot succeed in driving the Jews from our soil. The Jewish nation has survived far more powerful empires and powers. A nation with such deep roots cannot surrender before a non-entity, a pseudo-nation bent on its destruction. Peace will come one day in the Middle-East, but only when Arabs and Jews respect each other and each other's boundaries and borders. There are 22 Arabs countries and one Jewish country. That Jewish country exists and survives only by resting on the shoulders of our grandparents, good Jews who, in the ghettos and shtetls of Eastern Europe, in the mellahs of Morocco, exiled in Arab countries or under Christian rule, never forget that one day they would return to their home. To betray them would be a travesty, the height of injustice and cruelty. Every people is entitled to its own country, not least of which are the Jewish people, who have felt the pain and burn of being guests in a foreign land. There can be no negotiations, no compromise, no surrender on this most elementary point, our national aspirations and dreams. Such injustice cannot be tolerated. 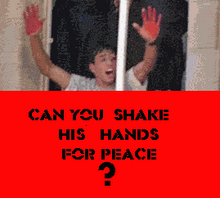 I hope for peace, but not for the fake "peace" promised by the Left, bathed in the blood of Jews. Peace will only come when the Jewish people are firmly planted in their land, as a Light unto the Nations. May that day come speedily in our days, amen. Chaim Weizman once famously said that no state is given to a people on a silver salver. He was of course referring to the toil and effort of the early Zionist pioneers and to the thousands of Jewish soldiers who gave their lives in defense of their country. Many people erroneously believe that Israel was magnanimously handed to the Jewish people by the UN. They fail to recognize the hundred years prior in which Jews came from all over the world to establish themselves in Israel. 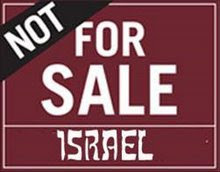 Jews worked to raise money to purchase land through the Jewish National Fund. The Zionist leaders established schools and hospitals, and built the political infrastructure that would later become the Israeli Knesset. The zeitgeist of the time, and the newest method of destroying Israel, is "the two-state solution". The UN has declared negotiations "irrevocable", and the US and the Mid-East Quartet have committed themselves fully to advancing this policy. It is an accepted dogma that the solution to the current problem is a sovereign state for "the Palestinian people". Billions of dollars have been poured into this project, as well as countless summits, meetings, UN resolutions and diplomatic tours. Anyone who is a "moderate" accepts the necessity of such a solution. Especially due to the fact that the "Palestinian" narrative is largely a product of historical revisionism, there is little reason why the "Palestinians" are deserving of a state. In the 60 years since the so-called "Nakba", the Arabs of Gaza, Judea and Samaria have produced or contributed little to the world at large, besides terror and hatred. The Arabs have languished in camps, hotbeds of fundamentalism and extremism, and have never sought to improve their situations. 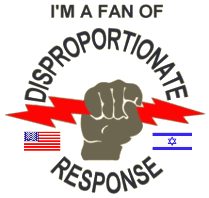 Rather, they use their own desperation, actual and imagined, as a weapon against Israel. They justify their repeated murderous attacks on Jewish civilians and refusal to come to a peace agreement as a result of Israeli aggression, occupation or supposed war-crimes. Somehow, the world has come to accept that "Palestinians" are entitled to depraved behaviour as a result of what they believe to be historical crimes against them. Incredibly, the Jews who founded Israel never resorted to this. Israel arose out of the ashes of Auschwitz. The evil the Jews suffered at the hands of the Nazis far outweighs any indignities the Arabs have ever suffered. The survivors of the Nazi death camps did not turn to suicide bombings and murder, but rather re-built their lives in Israel. Having lost their entire families, with barely any possessions, they became doctors, professors, artists, writers and contributed to society. Similarly, the close to a million Sephardic Jews who were expelled from Arab countries were not permitted to languish in camps. 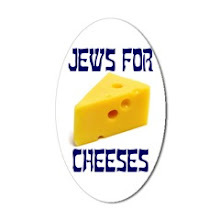 They are now an integral part of Israeli society. Various UN organizations, as well as the US and EU, have spent billions of dollars on the "Palestinians". None of this has been used to build schools or hospitals. Children in Gaza barely know how to read and write, yet their are all experts at explosives and handling weapons. They may not be familiar with literature, math or history, but they will all proudly proclaim their deepest desire to grow up to be a shaheed, to kill Jews, the highest honour. When Israel left Gaza in 2005, it transfered to the Arabs billions to built their society. Instead, they used this money to buy rockets and missiles. The Jews of Gush Katif left behind greenhouses for the Arabs to use. Rather than creating a flourishing economy, they destroyed the greenhouses in a fanatical frenzy. This is a civilization that does not create, but destroys. It is a perverse culture which dances in the streets and gives out candy as Jews are murdered, as they did on 9/11. It has been said that the Arabs never miss an opportunity to miss an opportunity. Despite the efforts of the international community, the "Palestinians" have never shown themselves deserving of a state. There is little central government in Judea, Samaria and Gaza. When given the choice to vote for a government to represent them, they voted overwhelmingly for a terrorist organization committed to the destruction of Israel and the genocide of the Jews. This says a lot about the type of society in which they live. Would it be the wisest move to give such a people a country? Has there ever been a moment in "Palestinian" history when they have rejected terrorism and violence? Given the Islamic regime in Hamastan, it would be hard to argue that the world needs another Taliban-style Islamic country. If one looks at Gaza, Judea and Samaria, they will see the self-inflicted squalor of the Arabs. They will see a pseudo-state whose streets are overflowing with sewage because the pipes have been used for rockets. The Zionist pioneers found a deserted wasteland, uninhabited for thousands of years. They proclaimed it a land without people for a people without a land. These self-sacrificing chaluztim made the deserts bloom, built cities in desolate land, and created life where there was none. The Arabs, on the other hand, have done nothing. They are not the sons of the desert, but rather its fathers. The corrupt leaders of the "Palestinians" pocketed international aid at the expense of their people. They raised generations of children on a steady diet of death and anti-semitism, instead of giving them basic skills necessary to running a country. They prefer to whine about what they endured 60 years ago instead of planning for their future. Looking at the tragic failure of the "Palestinians" in Gaza, Judea and Samaria, there is not reason to believe that they can sustain a state. Such a state will undoubtably be used as a launching pad for terror attacks against Israel and a bastion of repression and fundamentalism. They are a culture that worships death and is addicted to martyrdom. Generations of Arabs have been taught how to die for their faith, but they have not been taught how to live for it. No state is given to a people of a silver salver. The "Palestinians" have certainly not earned the right to a state. They blame Israel for their current situation instead of taking responsibility for the poor choices they have made as a society: multiple wars against Israel, endless terror attacks, creating a culture of fanaticism and hatred. In the recent conflict in Gaza, they could not accept that the Israeli onslaught was because of 8 years of rocket bombardment from Gaza. This juvenile mindset cannot maintain a country. It would be one of the greatest human tragedies to uproot 100 000 Jews from their homes in Judea and Samaria, only to hand their land over to terrorists and their sympathizers. The Arabs simply do not deserve another state, especially one handed to them on the silver salver of UN humanitarian aid. "Palestine" has no industry, no infrastructure and is an assured failure. Israel will be forced to clean up the mess that the international community created in its backyard. Israel's leaders must have the courage to say no to what will assuredly be a Final Solution.